When you travel slowly, you allow places to become a part of you, to take a hold of your heart and provide you with a new perspective. 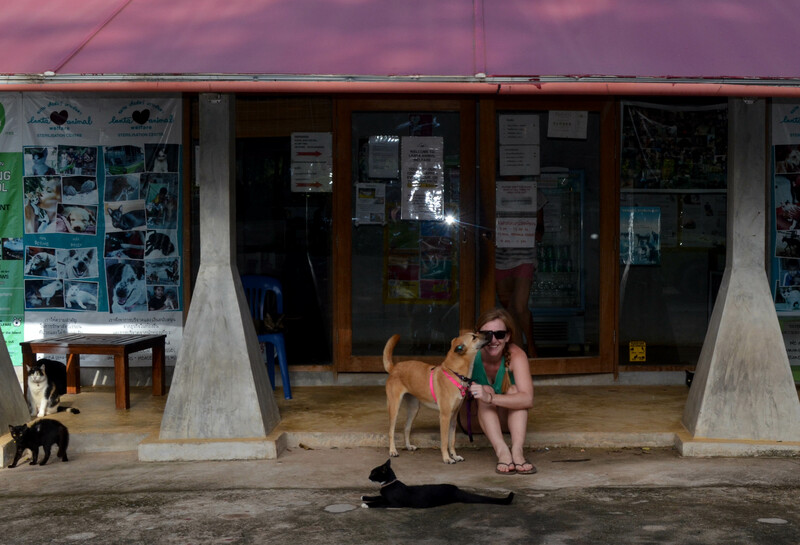 Koh Lanta has been that place for me and yesterday I said goodbye: goodbye to the loving animals at Lanta Animal Welfare, the dedicated volunteers who make the place tick, and the gorgeous island of nearly deserted beaches and amazing curries. 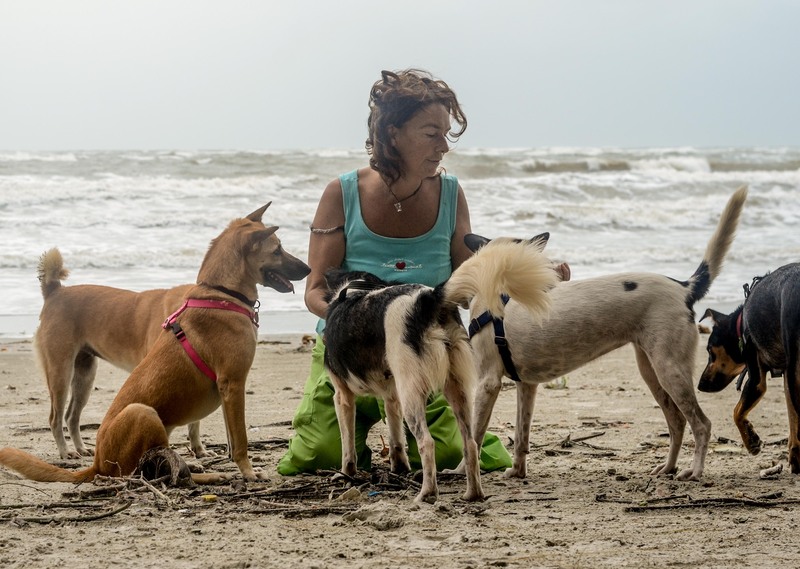 Unlike my departure in February, however, my eyes were dry as I left with the best piece of Koh Lanta—my dog Lady. Lady has spent her whole life on the island and it was only right for her final day to be grand. Thanks to Junie (the founder of LAW) and Maureen (a long-time volunteer) we were able to spend the day exploring Koh Lanta Noi, an undeveloped area to the north. For the first time in a week (she came down with a parasitic blood infection that is clearing up), Lady was 100% herself— running around like a mad woman and even having a close encounter with a giant monitor lizard. I can’t think of a better way for her to say “goodbye” to her first home. 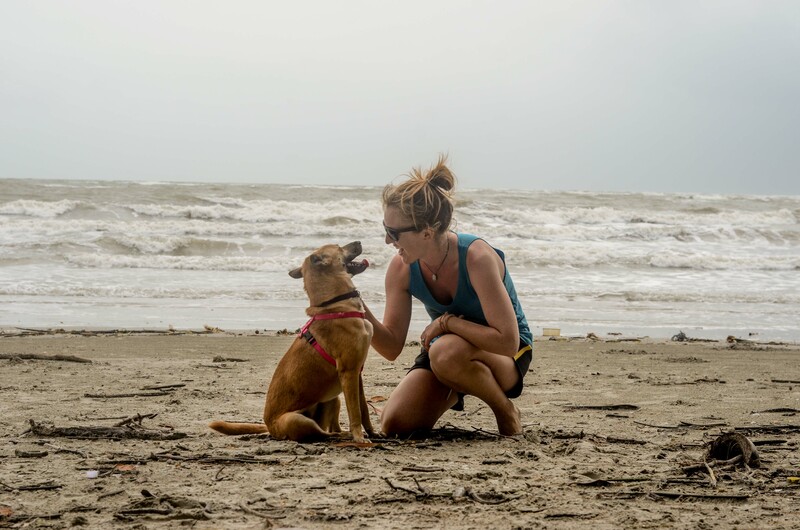 Junie, the founder of LAW and a true dog-whisperer. That night, we held a low-key party at the center, where I was reminded just how old I’m becoming. I spent most of the evening scanning Lady for ticks and enjoying my final island Changs. At the very end of the night a drunken Swedish guy crashed the party and was obnoxiously forward in his advances towards me and anyone else with a pulse. He refused to leave and when I escorted him out he said, “What do you even know about this place? You’ve never donated any money here.” Needless to say, things did not end well for said Swede. The next morning I was at LAW by 7am, frantically getting everything in order and saying my final goodbyes to the dogs, cats, and volunteers. It wasn’t sad, but instead I was excited about what life after Lanta meant for Lady and I. 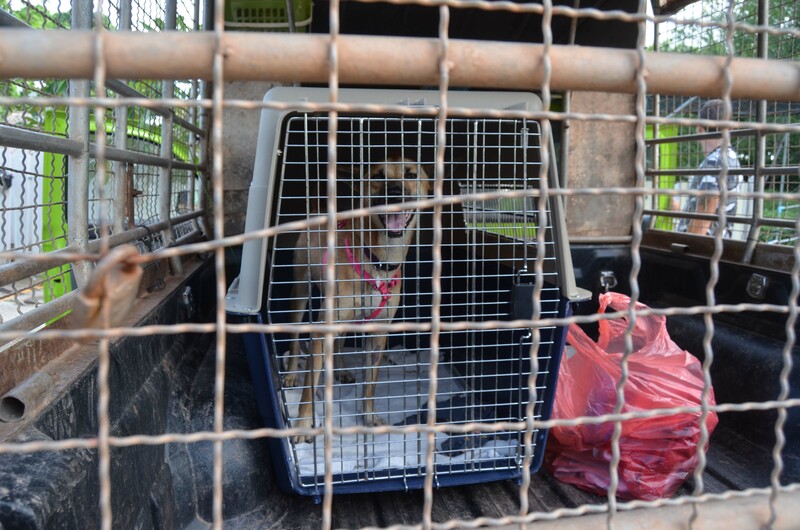 We loaded Lady into her crate and onto the truck and hit the road for the export office. Happy girl ready to head to San Francisco! I am now sitting at a bungalow in Phuket, paperwork in hand and Lady at my feet, waiting for our flight this evening—the journey home has begun, indeed. SO excited to see you guys! Glad that there’s a trip on the books. Love you! Ali come back! Missing you and Lady, hope you have a safe and relatively pleasant journey home. See you in 14 months.. I wish you and Lady all the best, thank you for taking her into your life.